Dumfires is the oldest continuously charted township in Virginia, and is located not far from Washington DC which makes it a good place to buy a home and commute. Dumfries still has a small population of just 5,912, but the town itself is small covering just over 1.6 miles. 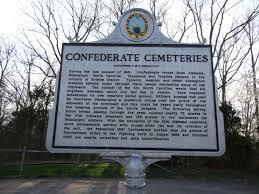 Dumfries was port town for the tobacco trade, and you can still visit the Henderson House and Weems-Botts Museum which both focus on the time when Dumfries was the most prosperous. Dumfries has a number of surrounding wetlands as well as the nearby Quantico Creek, and these areas provide ample areas for mosquitoes to breed. The mosquitoes and other insects thrive around water and the type of hot summer days which can make summers perfect for mosquitoes to breed. Add in the regular rainfall and you have a haven for a thriving mosquito population, which also opens up the potential for dangerous diseases like West Nile virus which was reported in Fairfax. Many Dumfries homeowners and businesses prefer to use a professional mosquito control company like Mosquito Tek that can completely exterminate mosquitoes on their property without needing to worry about using mosquito repellent every time they go outdoors. Mosquito Tek takes a two-fold approach to exterminating mosquitoes. 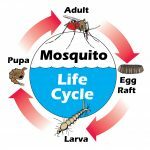 The first step is to identify breeding areas and look for containers or debris that may be gathering water and empty it, and also identify where water collects naturally so the mosquito technician can use larvicide to prevent the larvae from growing into adult mosquitoes. Once the breeding areas have been addressed, a barrier spray treatment is applied to wipe out all of the adult mosquitoes on your property. Customers have two highly effective, yet safe mosquito treatment options they can choose from. Since each situation is unique, and you can talk to your technician about which option is best for you, but you can rest assured that both will effectively eliminate mosquitoes on your property. In worse case scenarios where mosquito infestations are heaviest, customers prefer the strong conventional mosquito spray that will last up to 21 days, and uses Talstar, which is a full-strength commercial grade insecticide that has the best knockdown of mosquitoes on the market. The organic mosquito control option uses Essentria, which effectively eliminates mosquitoes for up to 14 days while still being safe to use around organic gardens, and since it’s all-natural it won’t harm the environment or your local wildlife. Essentria is NOP compliant and also popular for businesses such as restaurants with outdoor dining. As an added value to customers, Mosquito Tek offers an affordable flea and tick control upgrade option as part of each mosquito control package. This additional benefit will protect your family and pets safe from ticks and fleas, and prevent the potential for diseases like Cat Scratch fever, Rocky Mountain spotted fever and Lyme disease. Each tick and flea control treatment is available either as an upgrade to the mosquito control service, or it can be purchased individually. Mosquito Tek has been chosen as one of the best pest control companies in the Dumfries area since it offers two outstanding guarantees that make their services the number one choice for exterminating fleas, ticks, and mosquitoes. 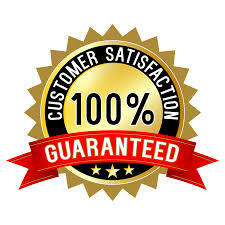 The Product Guarantee provides free respraying if you see even one mosquito in the first two days after treatment, and the Service Guarantee gives you a 100% Money Back refund if you are not happy with the service. 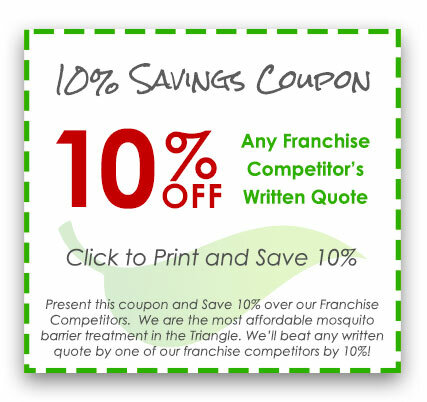 Couple these guarantees with the additional advantage of getting the lowest price (10% less than any competitor) and same day service, and you can see why Mosquito Tek is the only mosquito control company you should consider for protecting your family! What does a complete treatment consist of? Examine and asses your property to identify problem areas and the insects we will be treating. Search for possibly breeding areas including standing water, streams, lakes and ponds. Apply larvicide to permanent water fixtures and empty standing water from containers. Spray the areas of your property where adult mosquitoes live including the bushes, trees and turf. How do I know that I’m getting the best possible price? We offer a 10% discount on any competitor’s written estimate. This means you will have the best price and service in the area. How do I know I am choosing the company with the best products and service? 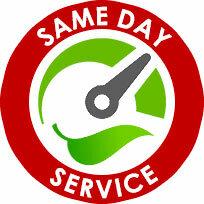 With our two Service guarantees, you will know that you will be completely satisfied with our treatment. The product guarantee means that we will respray at no cost to you if mosquitoes if you see mosquitoes within 3 weeks of the conventional treatment or 2 weeks of the organic treatment. The Service Guarantee will give you a full refund if you are not satisfied with the service you receive from Mosquito Tek. How safe are your products for my family, pets and other animals? During the application process, you, your family members and pets need to be indoors or cleared from the treatment area. After the treatment is completed, you need to let it dry. This takes about an hour for the conventional treatment and 30 minutes for the organic treatment. Do you have all-natural or organic products that are safe for the environment? Our organic products adhere to the National Organic Program guidelines, which means that they are environmentally safe. Do you offer one-time treatments for my wedding or other special event? Our special event one-time treatment is the perfect solution to keep your special event free from mosquitoes and other biting insects. When planning your event, contact us and we will work with your rental companies and caterer to schedule a time to apply the treatment 2-3 days before your event. Certain conditions tend to attract mosquitoes. If you are tired of having mosquitoes in your yard or you feel like mosquitoes are flocking to you constantly, there are steps that you can take to reduce the number of mosquitoes in your yard. Here are four mosquito control tips you can do to help control mosquitoes. 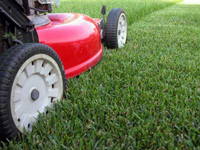 Mowing your lawn on a regular basis and regularly clearing out undergrowth while keeping your shrubs trimmed and neat will help your yard dry out and make it less attractive to mosquitoes. Finding the most effective mosquito repellents is important. The CDC recommends using DEET since it is very effective at preventing bites. Mosquitoes can breed in the water left in a soda bottle lid. Eliminating standing water around your yard by tipping over flower pots and toys around your yard. Yellow bug lights and LED bulbs attract fewer mosquitoes because they emit a different frequency of light.